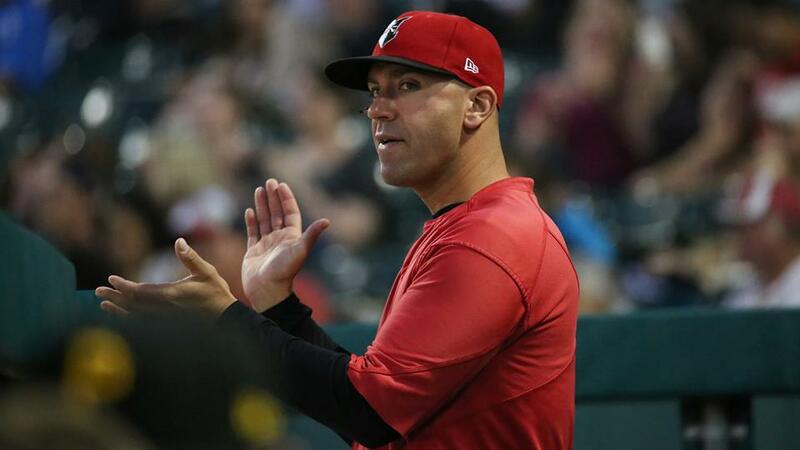 INDIANAPOLIS - The Pittsburgh Pirates today announced that Brian Esposito will return as manager of the Indianapolis Indians for the 2019 season. He will be joined by hitting coach Ryan Long and pitching coach Bryan Hickerson. Dru Scott and Alan Burr return as the team's athletic trainer and strength and conditioning coach, respectively. Esposito, 39, owns a 306-262 (.539) cumulative record in five seasons as a manager in Minor League Baseball. He skippered the Indians to a 73-67 record in 2018, giving Indianapolis its ninth season above .500 since becoming a Pirates affiliate in 2005. After joining the Pirates system as a player/coach in 2013 and serving as an additional coach in Indianapolis, he managed Short-Season A Jamestown to a 35-40 record in 2014. He then jumped to Single-A West Virginia for the next two seasons, the first highlighted by a club-record 87 wins and .626 winning percentage, the third-best winning percentage among all full-season teams in Minor League Baseball. He returned to Short-Season A for the 2017 season and guided SS-A West Virginia to a 40-35 record. Originally selected by the Red Sox in the fifth round of the 2000 MLB June Amateur Draft, Esposito logged a 13-year professional playing career that featured stints with the Boston, Anaheim, Texas, St. Louis, Colorado, Houston and Chicago (NL) organizations. He produced a slash line of .216/.254/.303, belted 38 home runs and tallied 237 RBI while throwing out 27% (204-of-766) of would-be basestealers in the minor leagues. Along with more than 750 career minor league contests played, Esposito appeared in three major league games - one with St. Louis in 2007 and two with Houston in 2010. He played collegiate ball at the University of Connecticut, where he was voted Team MVP in 1999. He currently resides in Sarasota, Fla.
Hickerson, 55, makes the leap to Triple-A for the first time as a coach after spending the 2017 and 2018 seasons as pitching coach for Double-A Altoona. Hickerson worked in ministry for 18 years prior to joining Pittsburgh's organization. He was originally selected by the Minnesota Twins in the seventh round of the 1986 MLB June Amateur Draft and made his major league debut five years later with San Francisco. He also appeared in the big leagues with the Chicago Cubs and Colorado Rockies. Overall, he went 21-21 with a 4.72 ERA in 209 games (36 starts) as a major leaguer. After his playing career ended following the 1995 season, Hickerson served as a pitching coach for the Giants organization with Single-A Bakersfield and High-A San Jose. Hickerson attended the University of Minnesota and currently resides in Warsaw, Ind. Long, 45, is in his 11th season with the Pittsburgh organization and 29th overall in professional baseball. The 2019 campaign will mark his second consecutive season with the Indians. Last year, Indy's offense thrived under Long's tutelage, leading all International League teams in batting average (.271), hits (1,251), doubles (310), on-base percentage (.335), OPS (.753) and batting average with runners in scoring position (.269). Long spent the 2016 and 2017 seasons as hitting coach at Single-A West Virginia. He has also served as hitting coach for High-A Bradenton (2011, 2015) and Double-A Altoona (2012-14). Prior to joining the Pirates system in 2009, he was Burlington's hitting coach (Single-A, Kansas City Royals) from 2007-08 and a minor league coach for the White Sox from 2001-06. He was selected by the Royals in the second round of the 1991 MLB June Amateur Draft and later collected his first major league hit and RBI off Hall of Famer Randy Johnson on July 18, 1997. He currently resides in Austin, Texas. Scott, 34, is a native of Lafayette, Ind., and lives in nearby Carmel. 2019 marks his 11th season as an athletic trainer in Pittsburgh's system and third straight with the Tribe. He has progressed through Pittsburgh's affiliates beginning with the GCL Pirates in 2009 and later ascending to Single-A West Virginia (2010-11), High-A Bradenton (2012-14) and Double-A Altoona (2015-16). He worked for Unity Sports Medicine in Lafayette for two years (2007-08) before departing for professional baseball. Scott attended Manchester (Ind.) College, where he graduated in 2007 with a degree in athletic training. Burr, 35, returns to Indianapolis for a third consecutive season. He sandwiched 2014 and 2016 campaigns at Double-A Altoona around a 2015 stop with Bradenton. 2019 will mark his seventh year in the Pirates' system and 12th year as a strength and conditioning coach. Prior to entering professional baseball, Burr started his career in collegiate athletics as a grad assistant with Appalachian State in 2008, followed by Georgia Tech, Central Connecticut State and Florida International University. He is a native of Roanoke Rapids, N.C. Burr completed his undergraduate studies in exercise science at East Carolina University before earning a master's in exercise science from Appalachian State. Tickets for the 2019 season at Victory Field are on sale now in full- and half-season plans, plus mini and flex plans. Single-game tickets go on sale at 10 AM on Friday, March 1. For more on the Indianapolis Indians, visit IndyIndians.com.